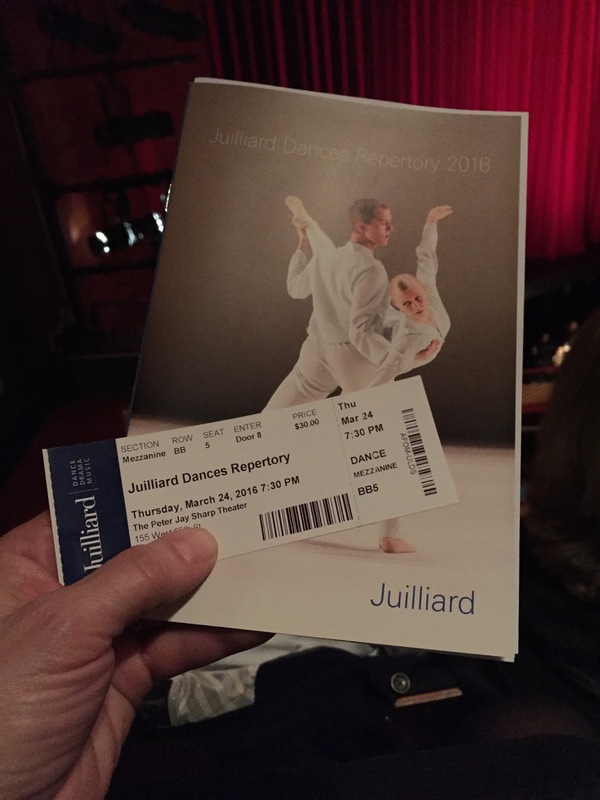 I saw "Juilliard Dances Repertory 2016"
How I got tickets: well, they were supposed to be comp’ed, but the night before at like 8:18 p.m. I got this text and he’s all, “I still haven’t gotten a chance to go find the box office—it may be a good idea to buy them instead so it doesn’t sell out! (sorry! ),” and I was like, “OK.” So I bought them online, and paid full price. Why I saw this show: The Graduate was a vocal performance major in college, and because he lives in Brooklyn, when he isn’t working one of two jobs or going to the climbing gym or making beer, he sometimes still sings, and usually tells me about it about a week beforehand. Where I sat: way up in the balcony on the end, behind my husband. I had no idea if we were going to be able to see our child singing in the chorus of the Stravinsky piece. The only seats left were on the ends. I gambled. Things that were sad: The second piece, Jerome Robbins’ “Moves,” which is performed without musical accompaniment, carried more tension and musicality than Paul Taylor’s “Roses,” which preceded it. Things that were funny: I liked the Stravinsky best. Things that were not funny: it should not be noteworthy that a dance recital have a real orchestra to accompany them. Live music is better, and live music is a reason to go to the theater. Also, I should not have been distracted with grief at the thought that this talented crop of young dancers will graduate into a world where the organized efforts of certain political forces mean less and less funding for the arts. What it is: a recital featuring dance students in Juilliard’s BFA program. Three numbers were presented. “Roses” was danced to Siegfried’s Idyll from Wagner and an adagio for clarinet and strings from Heinrich Baermann; I liked the parts where the dancers rolled around on the stage. “Moves” is a tense and muscular dance for men and women, accompanied only by the sounds of their feet, the slapping of their limbs, and one well-timed sneeze from an audience member. The gender norms of their costumes (women on pointe, men in ballet slippers) made me think about the absurdity of shaved armpits (on the women), and the strictness of the long-hair-in-a-bun-for-women/short-hair-for-men paradigm. After the second intermission came the piece we had come to see, “Symphony of Psalms,” choreographed by Jiří Kylián. When the chorus filed it, I found that we were in luck, and could see the Graduate standing with the other basses. He is easy to spot these days because he wears the “Männlich bun.” (someone with a German accent shouted that at him in a NY crosswalk). The Stravinsky Symphony of Psalms and A la gloire de Dieu were performed, and were very beautiful. The richness of human voices added a glorious dimension to the final piece. On the way down the hill from Gül Baba türbeje, as we stumbled on the large uneven cobblestones, I said that we’d found our dead bird. My son heard me, but said nothing. He knew what I meant. How is it possible I have not written down the story of the dead bird? When I was in Italy, I told it over and over. The story of the dead bird is a story I tell so often and to so many people that sometimes, I, too, am tired of telling it. A couple of years ago, in North Dreadful, one of our dogs found an injured bird on the porch; we think it hit a window. He brought it to us, in good retriever fashion, and surrendered it on command. It didn’t last long, but it was put into service as an artist’s model. This dead bird made a nice addition to a still life: lightweight, odorless and capable of maintaining its pose indefinitely, the only real problem it presented was keeping the pets away from it. Well, and I guess not all the people in the house thought having a dead bird lying around was ok. I started writing the story of the dead bird then, but never finished. I never tell the story exactly the same way. Once, on a day when I was a working parent at the co-op preschool, we were scheduled to go on a field trip, by city bus, to the University of Washington to look at the cherry blossoms in the main quadrangle. The co-op was my whole life when we first moved to Seattle; we had moved there, knowing no one, and still living the small, busy life of having very young children. Co-operative pre-school gave me and my kids instant friends, a place to go on a regular basis, and scheduled field trips to all the new things we needed to discover about Seattle: the Woodland Park Zoo, the aquarium, the Ballard Locks, the Flight Museum, the Space Needle, etc. Being a “working parent” meant I stayed for school that day, and helped with snack and clean-up and generally providing another pair of hands where needed. A pre-school field trip is a serious undertaking. The logistics of getting a dozen three and four-year-olds safely to a destination and back are numerous. If you drive, most cars only hold two car seats in the back seat (three are usually too wide). If any family forgets to drop off a car seat, it’s an emergency. If a working parent can’t make it at the last minute, the whole trip may have to be cancelled. Some destinations are too hard to get to, have inadequate parking, or are too expensive. But most preschoolers love field trips, and while routine is great for them, the break from routine is great, too. Our co-op was in a windowless church basement with cinderblock walls and clammy linoleum floors, across the street from a nice little park full of broad maples and tall oak trees, providing a reasonable supple of collectible acorns, and an old, sand-footing playground. There was a long slide coming out of a tall metal tower made of vertical poles, with a conical top, meaning it was a rocket or a jail or a castle depending on the imagination of the users. One block beyond the playground was a city bus stop, so field trips by bus were a good way to go. The two teachers at the school then were Nancy and Teacher Wendy. Teacher Wendy liked to be known as Teacher Wendy, and she taught the younger kids. Nancy liked to be called Nancy, and she taught the older kids. When she was a child, Nancy’s brother used to tease her and call her Child Nancy and she hated it, so we always called her Nancy and never Teacher Nancy, although having a Teacher Wendy made everyone want to call her Teacher Nancy. On the day of the dead bird, we had the backpacks full of snacks, the folder with emergency medical forms and a first aid kit, plenty of parents helping, and all the kids lined up, their coats zipped, their name tags pinned on with diaper pins. 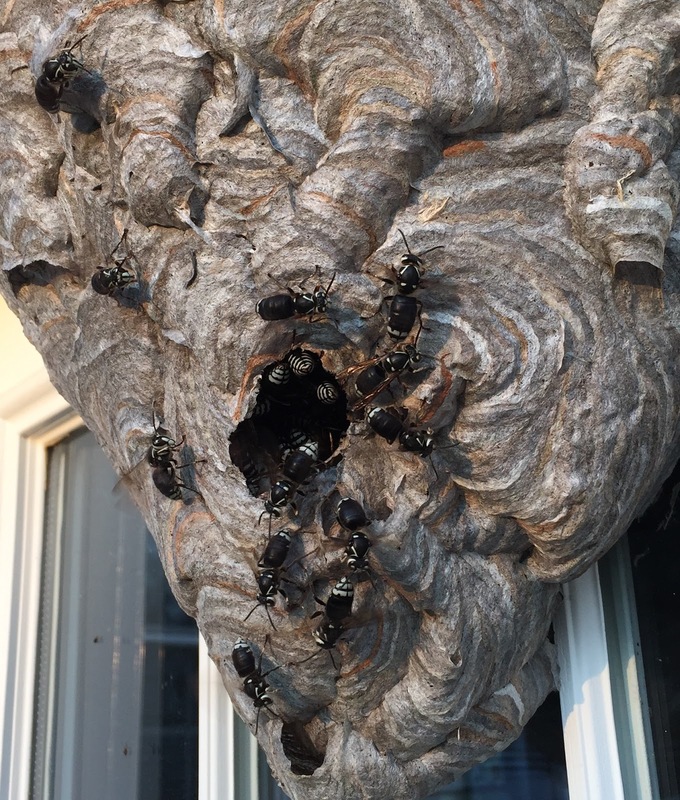 Nancy waited until she had everyone’s attention and then she opened the door. The kids were allowed to go to the top of the stairs, and then they had to wait. A parent always brought up the rear, and I was that parent on this day. Next, when Nancy said so, the kids got to run ahead to the corner of the building, and then they had to stop again and wait. It was April; the kids knew the routine. Nancy said ok and they ran to the corner. It was a perfect spring day, with a bright blue sky above and green, green grass below. The daffodils were done, but the tulips were up and open. When the lingering parents, distracted by the lilacs, had caught up to the kids, and she had everyone’s attention, Nancy gave word that they could run to the corner to wait to cross the street. It was at this corner that one of the children found the dead bird. I have told this story to adults at a cocktail party, teetering on high heels and trying not to fling champagne on myself. I have told this story in the dark, around a campfire. I have told this story walking in the fog in the Dolomites, to a new friend worried about her life having meaning. I have told this story to high school math students. I have told this story to another friend as we wandered lost in Venice. I have told this story so often my husband and children don’t listen anymore. But I no longer remember what kind of bird it was. “Look, Nancy! Look!” said one of the children. He was standing on the curb, pointing into the metal grate of the storm drain. Nancy stepped up and bent to see. She was not tall, but was taller than her students. 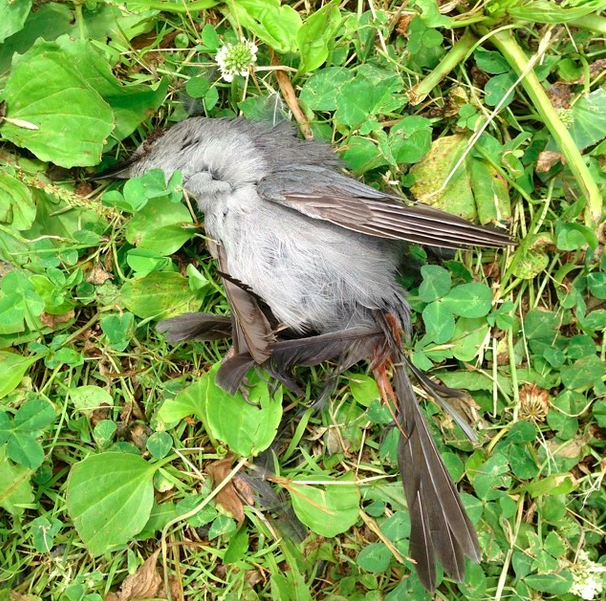 It was a dead bird, a songbird. Maybe it was a robin, but I think it was small and brown and bland. Perhaps a sparrow. “No. It isn’t sleeping. It’s dead,” she said. By now all of the children ringed her, trying to see. Nancy reached into her pocket—a pocket that always had enough tissues—and, cradling it in a sheet of tissue, lifted the dead bird out of the gutter. All of the children pressed in around her closely. The adults stood back. One child wanted to make the bird alive. The other working parents exchanged a glance, already aware that we were in danger of missing the bus. “Why is it dead, Nancy?” someone asked. “I don’t know. It was probably quick, I think. Like falling asleep,” she said. They had more questions. The bus came and went without us. The working parents saw it go. Some of the children wanted to touch it. Some of the other children really didn’t want to touch it. One of them wasn’t sure. “If you touch it, we are going to have to go back in and wash your hands really well,” she said. The curious children stroked the quiet feathers with an outstretched index finger, and came away holding up that finger like it wanted a bandage, or needed kissing, or had wet paint on it. This, having been said, could not be unsaid. Soon, we were all back in the classroom, one line of kids washing their hands under the supervision of a working parent, others kids helping to look through the available small shoe boxes for the perfect bird coffin. A group wanted to go back outside to collect leaves to put in the box. Everyone wanted to see the bird once it was in the box, resting quietly on a layer of last year’s dry, brown, oak leaves. When it was time to take the coffin back outside, the children lined up again and went up the stairs, this time marching seriously and with confidence, the run out of their legs. A perfect spot was found under a bush next to the church. Everyone took turns (except the parents) digging a shallow hole using a large serving spoon borrowed from the kitchen in the church basement. When the hole was dug and the coffin placed, everyone took turns (except the parents) covering the box with dirt. The dirt lay in a mound over the box. Words were said about the bird. It was now time to go to the playground and play. After that, we came in, washed up, and had snack. After snack, we drew pictures about the dead bird, and every child dictated a small story about it. At the end of the day, we sat in a circle and Nancy shared the stories. We never made it to see and dance in the falling, magical, pink petals of the cherry blossoms at the University of Washington that year. We had gone the year before and we would go the next year. The co-op preschool was an important part of our lives for many years. 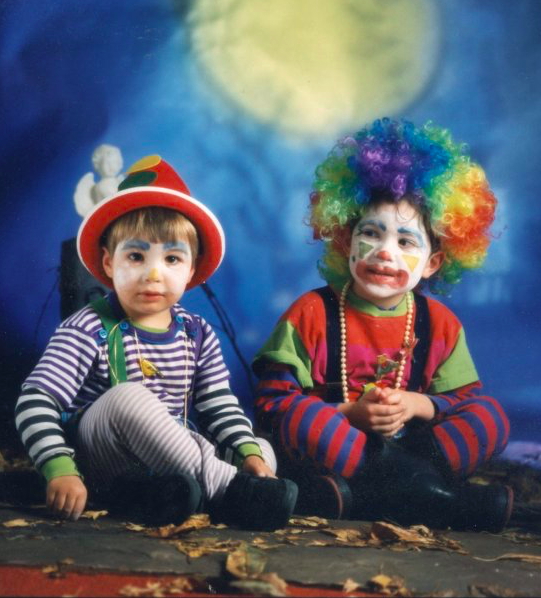 But the day of the dead bird was always the most memorable day of preschool. Just the other day in Hungary, we didn’t exactly know why we wanted to go see the Gül Baba’s tomb; we had ended up there after not being able to see the big synagogue. And I didn’t have the moment of recognition until we were headed away from it. Because the street below the tomb is crumbling and uneven and impossibly old and beautiful, and except for the woman trapped in her car, it could have been any time at all, here on this street. It could have been 1654. Except for the car. Why had she driven up so obviously bumpy a road? Why had we walked down it? My husband turned to us and quietly translated: “I don’t know what to tell you.” She looked pretty stuck. There is a story my mother-in-law likes to tell, laughing until the tears fill her eyes, about my husband when he was a young boy. The story took place on the street, in Budapest. I dreamed about the story a couple of months ago. In my dream, my husband had written down the story, in Hungarian, for his blog. My husband left Hungary around the age of 5, with his parents and his older brother. After that, they sought asylum in Austria for a year or so and then, received permission to come to the United States. None of them spoke any English when they came; it had been forbidden. Now, a generation later, everyone in Budapest speaks it. Growing up, the only people my husband ever really spoke Hungarian with was his parents. Among his siblings, they spoke English unless they were using it as a secret language, to say things in front of other people. There was very little danger of anyone overhearing them and knowing Hungarian. Spoken Hungarian sounds a bit lit people are making up sounds and are pretending to talk. I always thought that the character of Latka Gravas on Taxi as speaking a gibberish resembling Hungarian. My exposure to Hungarian has mostly been overhearing one end of my husband’s phone calls with his mother. I am only familiar enough with this famously difficult and unique language that I know a couple of weird, mild curses, plus, “Én nem tudom,” which means, “I don’t know,” and “Nagyon jól, which is, “Very good.” I am familiar with the stuff of ordinary conversations with Mom, “Good night!” and “Love you!” but that’s about it. My husband had asked his mother for a list of things to do when we were in Budapest, and it was mercifully short. It was easy enough to buy opera tickets. We stayed near the Szent István Bazilika and went in on the first day; there were art students sitting on the floor, sketchpads on their laps, their heads tilted up, as they drew the ceilings. We stumbled onto the Labyrinth. It was pretty cool and creepy, though I still don’t understand the manikins in renaissance costumes and the piped-in opera music. Still, we did it; we paid the ridiculous 2000 Ft, used our phones as flashlights, got water dripped on our heads, and checked it off the list. By the second day in Budapest, I was wondering about that story my mother-in-law likes to tell. Where had that story had taken place? My husband called from Budapest to ask his mother if she knew what street it was on. All I wanted was a picture of a street sign. The three of us fanned out, my husband with his camera, and my oldest son and I with our phones. I take so many pictures with my phone I’ve gotten pretty good at snagging candid shots of random people without drawing attention to the fact that I’m getting a photo of them. But there was one photo that got away completely that morning. It was a man, not too young and not too old, with the flushed complexion of a guy who drinks a lot, but that lean, thin look of a guy who works hard, but maybe drinks more than he eats. He was standing on the corner of Váci Utca and Türr Istvan Utca, solemnly wearing a paper Burger King crown. I really wanted this man’s picture, but he had a wild and terrible look in his eye. My husband saw him too, but took a photo of the street name on a different corner. 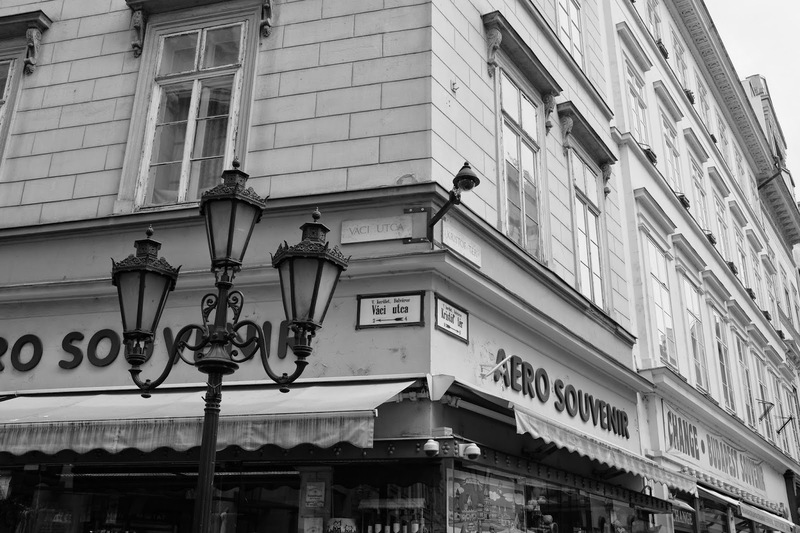 The old story goes like this: Kís Otti was walking with his brother and mother and father on a Budapest street when a black market peddler whispered to them that he had chewing gum to sell. People in Hungary had not had chewing gum before. It was new, chewing gum, yet children knew about the stuff somehow. It is children’s business to know about candy, especially new kinds of candy. His mother and father pretended they didn’t hear him, and kept walking. His mother and father heard him, but they couldn’t buy him chewing gum. It was too expensive. They kept walking. His mother and father had to stop. What were they going to do? They couldn’t buy him chewing gum. It was out of the question. One stick of chewing gum was 1000 forints. The family had just 16000 forints for the week. Kís Otti’s father thought they should pick him up and carry him away from the black market peddler with the 1000 forint chewing gum. Kís Otti’s mother thought he would never stop chanting. Kís Otti’s brother Istvan, looked from his frowning father to his pleading mother, said nothing. When we got back from Budapest, I was struggling to write the story of “Rágógumit akarok!” on the grounds that I still didn’t have enough details. Didn’t they live in another town? Why were they in Budapest? How did they get there? How expensive was the chewing gum? I called my mother-in-law and she was happy to oblige. Her English is very correct, and her accent is gorgeous and slow, with rolled r’s. They had travelled to Budapest because, as she tells it, “We did not want our little sons to be not aware there was a larger world.” They were living in a small town, “quite close to Budapest,” and had a car, a Moskvich. Of course, if you know my husband, you know that he got chewing gum, and so did his brother: one piece each. They chewed it all day and wanted to save it for the next day. As for me, I continue to have new questions. Will I really have to call her again to ask, what color was the Moskvich?